Potsdam—at times even in coffins. The movie scene was filmed on the Bridge of the Millions in Wedding, however. Erich Lessing. May Day demonstration outside the Reichstag, 1959. The war of the ideologies did not mince words: the words read, “Berlin stays free.” A rally was being held at the same time in the eastern part of the city. Berlin has survived two world wars, was divided by a wall during the Cold War, and after the fall of the Wall was reunited. The city emerged as a center of European power and culture. From 1860 to the present day, this book presents the story of Berlin in photographs, portraits, maps, and aerial views.With nearly 700 pages of emotional, atmospheric images, from giddy pictures of the Roaring Twenties to devastating images of war to heartwarming postwar photos of a city picking up the pieces—the Reichstag in ruins and later wrapped by Christo and Jeanne-Claude—this is the most comprehensive photographic study on Berlin ever made. 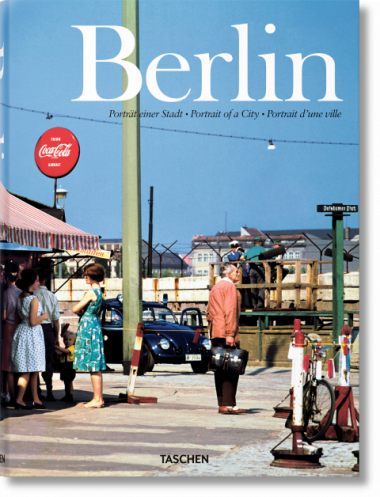 More than a tribute to the city and its civic, social, and photographic history, this book especially pays homage to Berlin’s inhabitants: full of hope and strength, in their faces is reflected Berlin’s undying soul. 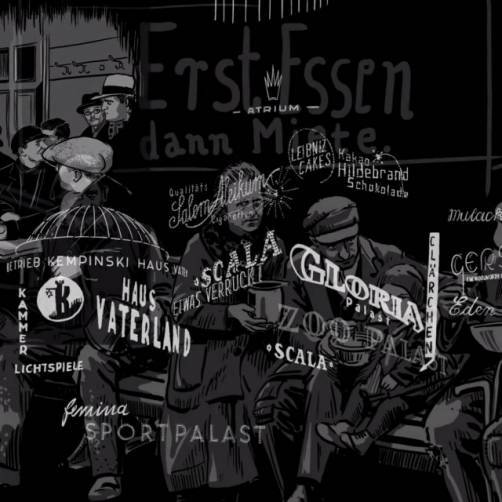 The author: Hans Christian Adam studied psychology, art history and communication studies in Göttingen and Vienna. As a specialist in historical pictorial material, he has published numerous articles and books, including titles on travel and war photography. For this book he has researched in public and private collections, viewed tens of thousands of images and also profited from the rich collection of written material in the Berlin State Library. He is also the author of TASCHEN’s Edward Sheriff Curtis: The North American Indian, Karl Blossfeldt, and Eugène Atget: Paris.